Find your parts, spares and accessories for your AquaMode Aquarium Setup. This fantastic range of all glass, half round aquariums deserve the best parts and maintenance. We stock a full range of spare parts for all AquaMode tropical or marine tanks. Browse our range of parts, spares and accessories for your AquaStart Aquarium Setup. These great looking starter aquariums deserve genuine Aqua One spares only. Browse our entire range of AquaStart consumables, including lighting, filter pumps and impellers. Find your parts, spares and accessories for your AquaStyle Aquarium Setup. 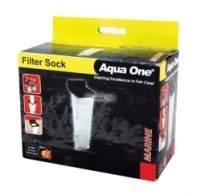 Aqua One's best selling range is popular for good reasons, including great built in filtration and lighting. Maintain this high level with Original Aqua One spares. We stock a full range of parts and accessories for all AquaMode tropical or marine tanks. The Aqua Marine 900 from Aqua One is a top value marine setup available in two versions. One comes complete with an Aqua One Aquis CF 1000 canister filter and the other features Aqua One’s excellent Marisys 240 under tank filtration system. 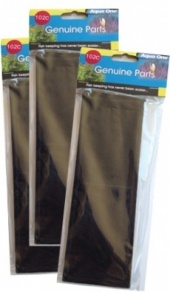 Here at Aquarium Parts we stock every available component and consumable for both versions, including all filter media, filter pads, PL tubes, replacement heaters and accessories. Aqua One’s new Aqua Nano range have created quite a stir with their fantastic compact style and fully integrated filtration system. Here at Aquarium Parts we stock every available accessory, filtration element and lighting tube for your Aqua Nano set up. Do have a closer look, we’re certain we have just what you need. The fantastic new Aquanto range from Aqua One. Black aquariums with chunky oak cabinets are perfect for the modern home. New push lock doors mean the cabinets sit completely flush to complete this ultra stylish look. Complete with T5 lighting and new Moray Internal Filtration set up for amazing water clarity. The cabinets are also interchangeable with the Horizon aquariums of similar size. Aquarium Parts are the UK's only dedicated online stockist of all parts and accessories to suit the new AquaLantern 300 aquarium. All necessary spares and consumables are in stock and ready to be despatched today! Aquarium Parts are the Uk's largest stockist of spares and accessories to suit the AquaReef 200. Every part, filter pad and lighting consumable that is supplied with the aquarium originallly, is available direct from our warehouse. 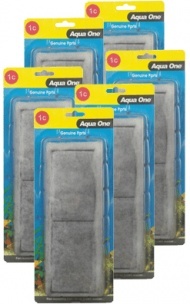 We stock the UK's largest range of genuine Aqua One spares for every AquaVogue aquarium model in the series including AquaVogue 135, AquaVouge 170 and the AquaVogue 245 including all filter components for the new Ocellaris 850 Canister, available for immediate despatch from stock. Find filter spares and all the necessary filter media and aquatic products for the stunning new AquaVis 130 aquarium from Aqua One. We have carbon cartridges, ceramic filter pads, sponges and more, in stock and ready for immediate despatch. 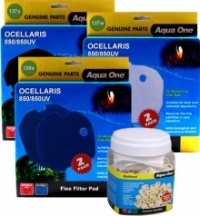 Benefit from our extensive range of original Aqua One branded spare parts and accessories for the new and exciting Aquience range of aquarium. Aquarium Parts is the UK's only full range stockist of all spares for the Aquience Bowfront, Aquience Cube and Aquience Corner aquaria. Choose your parts, spares and accessories for your AR Series Aquarium Setup. We stock everything for this best selling range, including fluorescent lighting tubes, filter pads, filter cartridges, filter pumps and impellers along with essential filter media and adsorbatives. Find all the spares, parts and aquarium accessories you need for Aqua One's new and innovative range of Betta Series aquarium models, including Betta Mono, Betta Duo and Betta Trio. Ideally suited to Bettas, these tanks are also ideal for shrimp, tetras, dwarf gourami and more, so long as the water temperature and conditions are suited. One of Aqua One's best selling product ranges, the EcoStyle tanks deserve the very best in aquarium maintenance. Here at Aquarium Parts we can help you with this, from LED lighting sleeves to carbon cartridges, we have a full range of consumables and spare parts ready for immediate dispatch. We want you to be happy with your Eurostyle aquarium for a long time to come and that’s why we stock or can swiftly obtain every component and accessory available for the entire Eurostyle aquarium range. Need new lights? We have them. A new heater? No problem. Filter media and maintenance parts for your Advance canister filter? Certainly. No one knows more about your Eurostyle aquarium and no one else has the largest stock of Aqua One spares and accessories in Europe. Find your parts, spares and accessories for your Regal Aquarium Setup. This fantastic range of all glass, half round aquariums deserve the best parts and maintenance. We stock a full range of spare parts for all Regal tropical or marine tanks. Find your parts, spares and accessories for your Royale Aquarium Setup. This elegant range of high value aquariums isn't expensive to maintain, here at Aquarium Parts. Discover cheap Genuine Aqua One flourescent lighting tubes, filter pads, filter media and canister filter spares and accessories with No Minimum Order. Choose lighting, filtration and circulation components, spare parts and accessories especially suited to the UFO 880 Aquarium. We stock the entire range of Aqua One consumables for this magnificent corner aquarium at great low prices. Buy with condfidence at Aquarium Parts. Find great value, low cost spares and accessories for the UK's best selling corner Aquarium range. Insist on only the finest, trusted quality that is Aqua One. 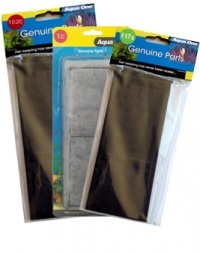 Here at Aquarium Parts, we stock UK's best range of genuine Aqua One spares, parts and accessories, all fully guaranteed. 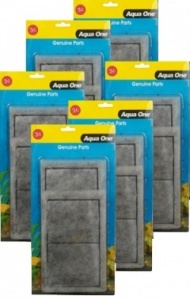 Keep your new Xpression Aquarium in first class condition with a great range of spares from Aqua One. From heaters to filter cartridges, we stock the entire range of spares and accessories to help keep your tank looking great from day one.